The gun of an Israeli soldier rests on a window-like opening of the separation wall between Jerusalem and Bethlehem. 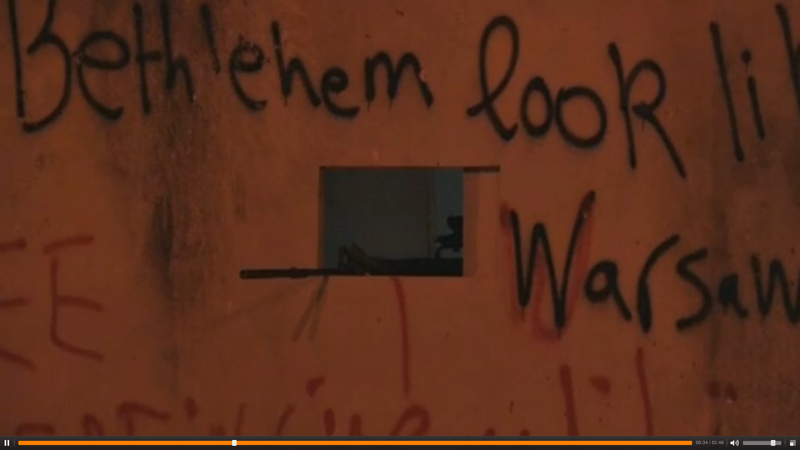 It is pointed toward Palestinian youth during a clash at the entrance to Bethlehem. 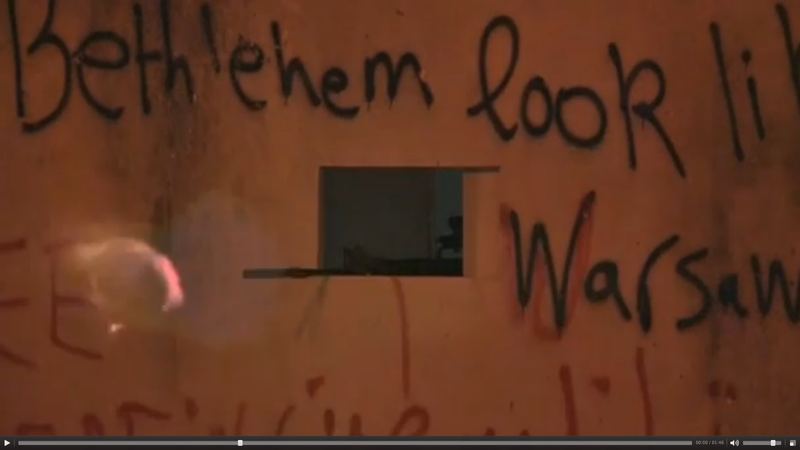 There is something particularly sad about this screenshot taken from a Reuter news video. 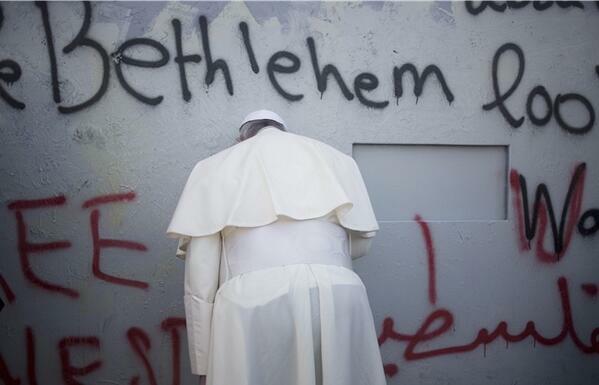 During his pilgrimage to the Holy Land Pope Francis stopped at this very place to pray. Notice the closed window just to his right, and the “Bethlehem look …” just above his head. It is the same place at which he fired a prayed to heaven. This time a gun fires. It leaves me with such a helpless feeling. I am heartbroken. I think our pope must be too. I keep thinking of the people I met who just asked for peace and for us to pray for peace. Sadly our media seems to have forgotten them. I haven’t. I pray and cry for them. I know you do too.